It's amazing that OP_RETURN singlehandedly enabled all these cool applications, but this is just the beginning. Just from my interactions with people who hang out on BitDB telegram chatroom, I can see the development accelerating and think we will see more and more creative bitcoin-powered apps launch. That said, this is just the tip of the iceberg. After all, OP_RETURN is just one of many opcodes in Bitcoin. If OP_RETURN alone could bring this much innovation, imagine what would be possible when you open up the database to the entire Bitcoin universe. I imagined. And then I built. Note that OP_RETURN is now just one of many opcodes Bitdb indexes. 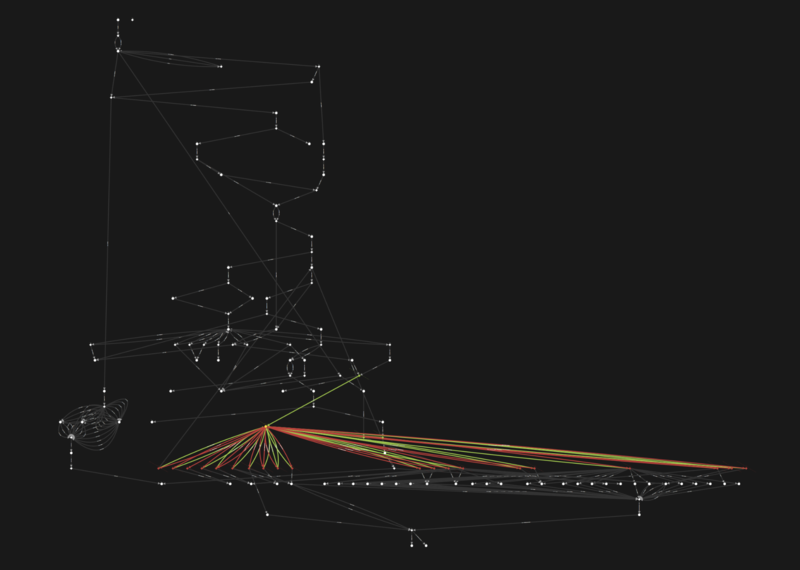 Bitdb2 now contains the entire Bitcoin transaction universe. BitDB 1.0 only stored transactions that contain OP_RETURN outputs and threw away the rest. Also, even for the OP_RETURN itself, it didn’t even store the entire transaction, it only picked out the one OP_RETURN output from the transaction and threw the rest away. This was good enough for building pure OP_RETURN applications, but was limited because you couldn't fully tap into the entire bitcoin transaction universe as a whole. And not just outputs, but inputs too! This means the coverage is effectively 100%, and you can basically build any Bitcoin data processing application with BitDB, no matter how complex and sophisticated it is. Things like smart contracts, bitcoin powered bots, autonomous programs, and many more creative applications no one has even imagined yet become significantly easier to build with BitDB. At the end of the day, everything is data, and all data fit into a database. Application developers no longer need to worry about the low level details and instead focus on the application logic. BitDB2 now indexes all the connection edges between transaction inputs and transaction outputs, and lets you query the transaction graph. Aside from building application specific overlay graphs such as tokens, there are many other useful ways you can utilize this graph data. Carefully leveraging all the potential, you can even build a token that talks to another token, a token that interoperates with other protocols, and an application protocol that talks to another application protocol. This is possible because the query language itself is portable and you can easily build mashup applications simply by combining the queries and making the query itself open source (It's just a JSON object). Just imagine how you would have built these applications before BitDB. You would have had to spend tons of time architecting and building out your backend infrastructure and your own custom database schema. And once you're done, you would have had to open source your backend (because otherwise it's not really "decentralized"), which is actually more work than the act of building itself in most cases. With BitDB, all this days and weeks and months of headache is replaced by a single MongoDB query which can even be sent over a simple HTTP GET request. With the barrier this low, imagination is your limit because Bitdb now lets you query everything happening on bitcoin. The 100% coverage means you can use BitDB to build ANY imaginable bitcoin application. And even do it WITHOUT your own server. This would not have been possible if the coverage was even 90%, in which case you would still need your own custom backend to make some JSON-RPC requests to Bitcoin, run certain types of data processing and store them in your own custom database. 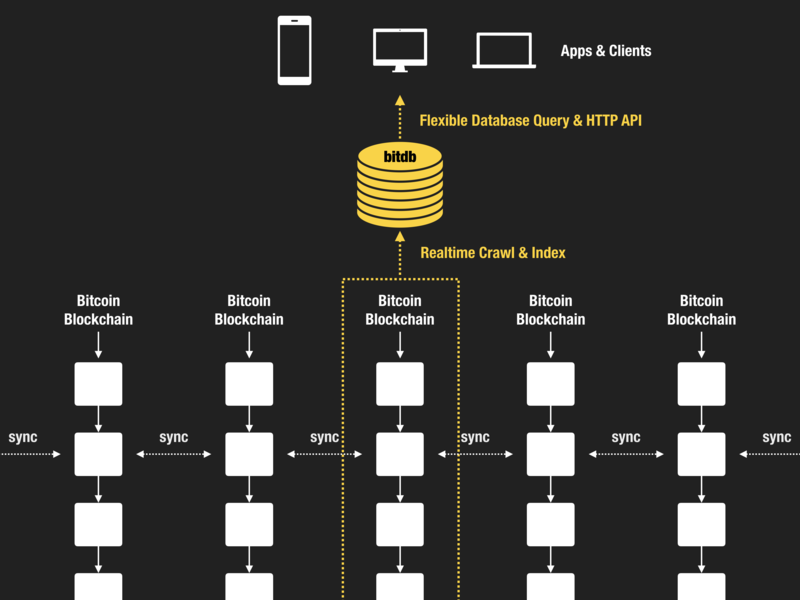 But because Bitdb now contains everything and provides powerful query interface into the entire data set, most moderately sophisticated bitcoin data processing applications can be built purely frontend, with zero server. You can write a purely client-only app that connects to a public bitdb node (Currently bitdb.network) and just publish your web page to free/cheap hosting services like Github Pages or Netlify. You can even go extreme and upload your website HTML itself to Bitcoin and load it using BitDB, in which case it will be both "server-less" AND "client-less". The data is served by MongoDB (one of the most flexible and high throughput databases on the market), with "trust, but verify" model where you can either cross-validate a bitdb entry with a bitcoin node, or cross-validate the same bitdb entry among multiple bitdb nodes. If you're a programmer and have been thinking about building an app on BCH but were overwhelmed with dealing with Bitcoin data, or if you've been waiting for a "high level framework" to deal with the blockchain, this is your time. You no longer have an excuse not to build, since building a bitcoin app has just become easier than any other decentralized protocols or any other blockchains out there. You don't even need a "development environment' or all that baggage. With a simple text editor and a browser you can build fully powered bitcoin app now. Mindblowing... BCH is so lucky to have you. Absolutely amazing work, I'm in awe. It's just amazing and super inspiring! Thanks! This writing is very descriptive and helps operators to build any application from BitDB in a very simple way. Amazing. You make me want to create my semantic web or at least return to developing it from a framework. Instead of using MediaWiki I could use the blockchain directly, maybe as a browser plugin to create another consensus layer. I'm a fan of your work! Keep building! Great work @_unwriter ! This will help a lot for developers and spike interest from businesses around the world to start using the BCH blockchain for settling things. Wow. Is it possible to build a light wallet with this?